“93 Miles” – Fulfilling a Dream. Have you got a dream? Did someone help you achieve one? Do you want to help someone achieve theirs? I want to remind you as you sow into someones dream you open a door for your dreams to become a reality. If you are interested in helping a very talented young man finish his Film MFA Thesis project, 93 Miles. I was in school with him and know the quality of his work and he is of good character. From my friend the Director. “93 Miles is a fictional short-film, inspired by true events, about the defection of a Cuban baseball player and his girlfriend, as they journey into an unfamiliar land, hoping to achieve the ‘American Dream’. The dark secrets of the sports industry draws conflict that the two have to face in this crucial chapter of their lives. This is my MFA Thesis project, here at Emerson College. A project I need to complete to graduate. I’m not one who just wants to make something and turn it in to get my degree. I want to make something that will open the next chapter in my life. 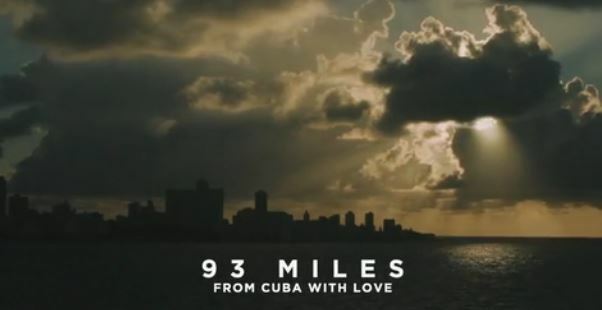 I truly believe 93 Miles is the key, while it also holds a very important message about human trafficking, that many Cuban athletes have unfortunately encountered. It would be wonderful if you could help support this project. See more here on kickstarter. Here is a sample of his work. Love Lust from Noah Canavan on Vimeo. So again I ask you. Have you got a dream? Did someone help you achieve one? Do you want to help someone achieve theirs? So I ask you would you sow into Noah’s dream and potentially open a door for your dreams to become a reality?